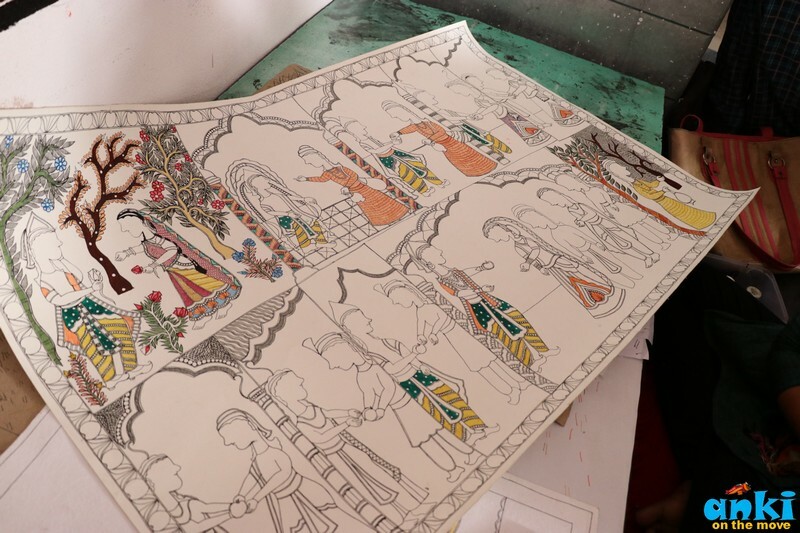 Home to 6 Padmashree awardees, Madhubani in Bihar is slowly and surely getting recognition for its artwork. 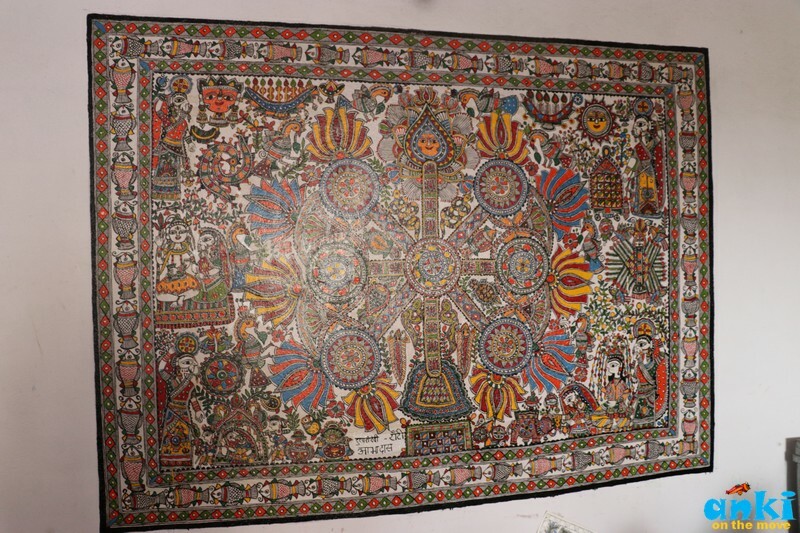 Ever wondered why Madhubani art has fishes? During the marriage in a Brahmin community here, one of the compulsory items is Fish (or machli) which is considered auspicious that is also symbolic of good luck and fertility. On the first night of Marriage, the bride and the groom are left in one room for 2-4 hours and that is known as ‘Kohber’. To decorate that Kohber house this art form was used for decades. Years back, the layering on the walls was done with Cow dung and on top of that with the natural colors painting of Machli , Dolika Haar, Radha Krishna etc was done. Everybody in this village knows how to make a simple Kohber, few have taken it to the extent of Mithila Painting. They traditionally used to use natural colors made out of the black char that comes out of making food in the Chulah mixed with Gond ( adhesive) and water that used to create the paint. Natural colors were also extracted from plants, stones and vegetables. Today, the natural colors are replaced by Fabric colors. If legends are to be believed, the origin of this art form can be traced back to Ramayana. On the occasion of Lord Rama and Sita, King Janak called artists to create paintings on the theme of Marriage. Mithilanchal was the birth place of Sita and Sitamarhi is the place which is named after Sita. 'Sita - marhi' as in 'Sita - Bani' . Marhi means bani. Which is today's nepal was all under Mithilanchal. It is claimed that the king built a tank (water reservoir) at the place where Sita was found. Sitamarhi has a pond and a temple dedicated to Sita. And the king's place was Janakpuri and even today we have a mandap there. Kaushik Kumar Jha, the administrator of Mithila Art Institute talks about the shift the art of Madhubani has been witnessing over the years. Earlier the artists used to work only on typical set themes of Ram Vivah, Jaimal, Raas and Kohber and that was getting repetitive. As the people were completely saturated with the choices they had, they started to stop after buying one or two as they would say they already have one Kohber, One Raas so why buy more. 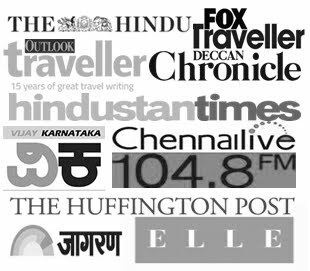 Recently there has been shifts in the themes which has become more intune with the contemporary day to day situations or incidents happening worldwide such as Dowry, Corruption, Mumbai Taj Attack, World Trade Center etc conveying a message that art form need not restrict itself to only the traditional folklore anymore. Dr. Kaushik proudly said, that one of the students from the institute have depicted corruption in form of how it happens - there is a no entry board and the truck is coming, the traffic police hand signals the truck, the driver gives money. There is railway reservation counter, the time there was 11, there was a huge queue of people there, but the person is unavailable at the counter. This painting by Supriya Jha has become so famous that it was on the brochure cover of Professor’s Conference in South East Asia comprising of 300 professors at the event. 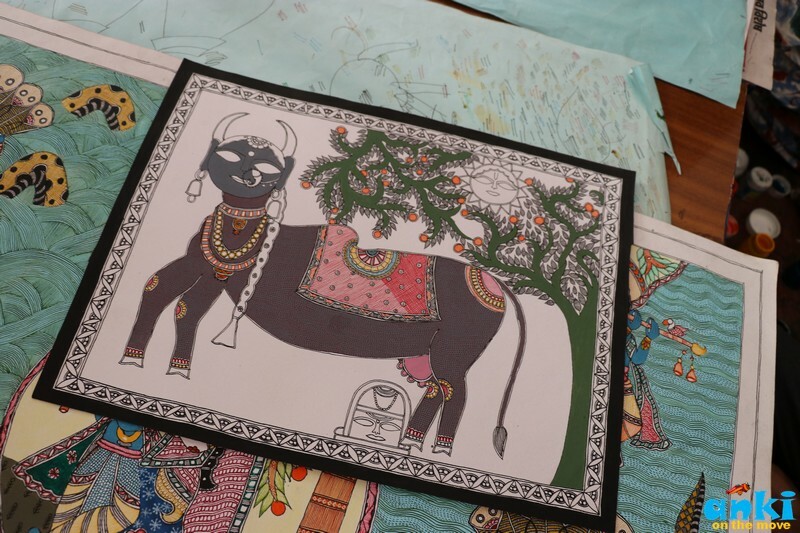 Vinita Jha tells us that even the cat in Mithila has art within her! Watch my visit to Mithila Art Institute, how the painting is done and what is it that they are looking for in coming years. Another such student , who had make him and the institute immensely proud, is the student named Shalinee Kumari who had painted just before Barack Obama became president on what are the problems he was going to face. Since she was from the village, she did not even had the TV. Only news she could hear was on radio. And of all the artists in US, no artists had a solo exhibition of Madhubani Painting but hers was displayed in San Francisco. She was sent a letter and she got a visa for US and she did an exhibition there. 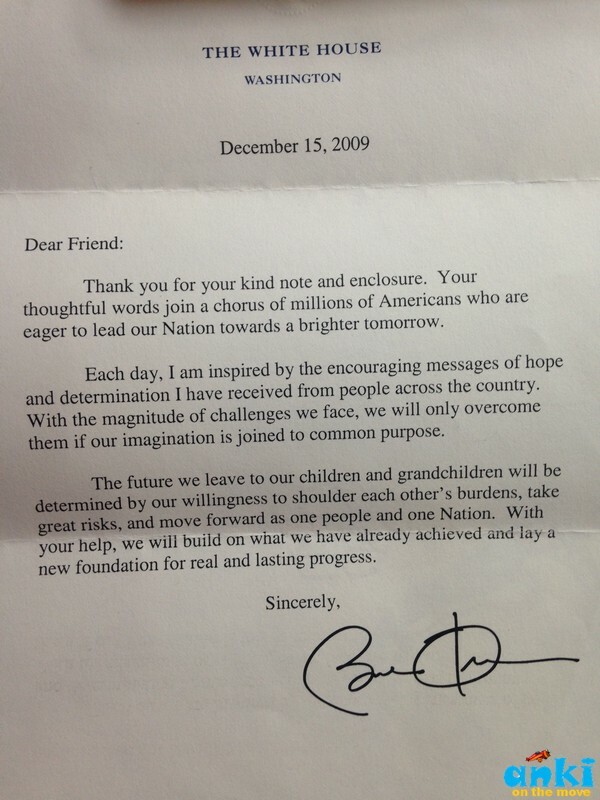 Today 'Shalinee Kumari's' painting is in Whitehouse and we have got Barack Obama’s complimentary letter. Dr. Kaushik says these are their achievements they feel great about. So with that being said, we visited Mithila Art Institute to watch how the students were working on the themes that they were interested in. We were accompanied by Rajnandini, the grand daughter of Sita Devi, who told us people get to know about this institute by word of mouth, either through friends or family. Some folks are so interested that they come here by bus. 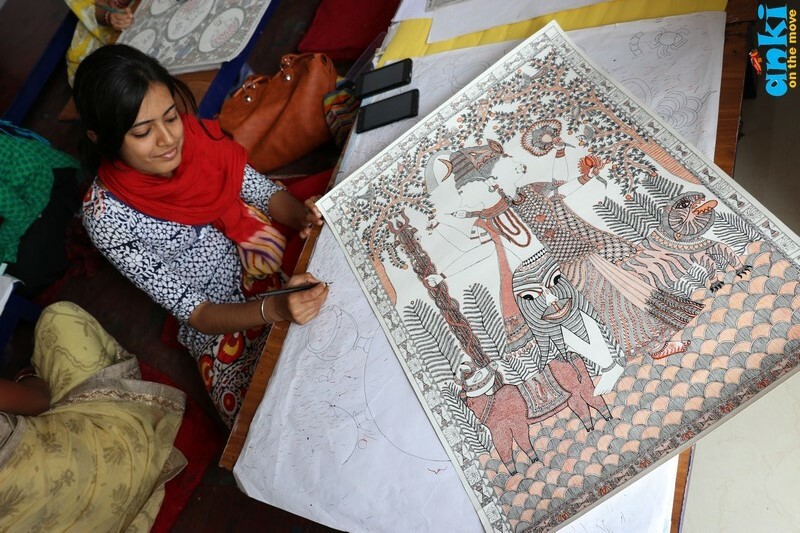 Rajnandini who is also a student with the institute believes that she gets to work on new theme here even though his family back home is well versed with Madhubani art form in Jitwarpur and she is too, she gets to learn to work on new themes than traditional themes. She fondly tell us, there are two madam’s in the class, but as they say its not just about the painting, but the ability to convey a theme or a story and make people understand it. This institute is totally free wherein for one year course they select 25 students for admission after the test in which 200-250 students apply. And after one year, the best of 8 are put into 2nd year to even further their skills. As we hovered around the classroom , with students working on their individual themes, we wondered from where their stories came from. From Ardhnari Shiv ( Half Shiv Half Parvati) to Krishna Leela( From birth till adult) to the story of Raja Bharthari , these themes to us were new. And the stories came from none other that their madam who recites it every Wednesday. I particularly found the story of Raja Bharthari very enchanting. The story is that the King (or Raja) loved his wife very much. One day a priest came to the Durbar (court) he gave him a fruit and said you keep this fruit and you will always remain beautiful. The King thought that I love my wife and she must remain beautiful forever and with that thought he gave that fruit to the Queen. The Queen did not love the King, she loved the Police Officer (Kotwal) of the Durbar. So she gave that fruit to the Kotwal. That Kotwal did not love Rani so he gave it to the dancer who he loved. The dancer did not love him, the dancer loved the Head Police Officer (main Kotwal) and she gives the fruit to him. The Kotwal loved the King and he gives the fruit to the king. The fruit comes full circle and when the king thought how the fruit acme and asked everyone the truth comes out and the King leaves the throne. Sadly the art of folk stories are dying , as kids these days are living on or rather surviving on TV or mobile phones alone. Prof. Coralynn Davis is collecting these folk stories where were once told by grandmothers to their kids and she says easier the kids listen to these stories and as soon as the story would start, the kids would start imagining it for example, there was a king, he was on a horse, he was wearing this dress and the child’s mind would follow up with that. To revive the imagination of kids, which is slowly dying, she is collecting archives from the village and about A hundred plus folk tales and stories of women's lives is collected by Prof. Coralynn Davis over the last few months in Madhubni / Mithila area. 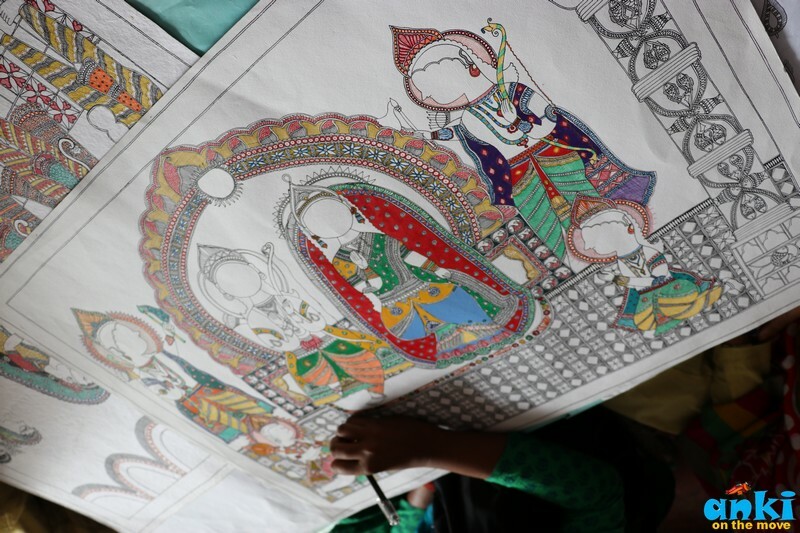 The technique of Madhubani art form over the acid free paper requires constant pressure on the nib of the pen so that a blob is not created. They begin with patterns and even if they make mistake along the way they correct it in a way that it merges in the pattern. There is no sketch with the pencil on the final draft. The rough draft is first made on a separate sheet where the correction are done. Thereafter, the same thing is painted on the final draft without sketching. 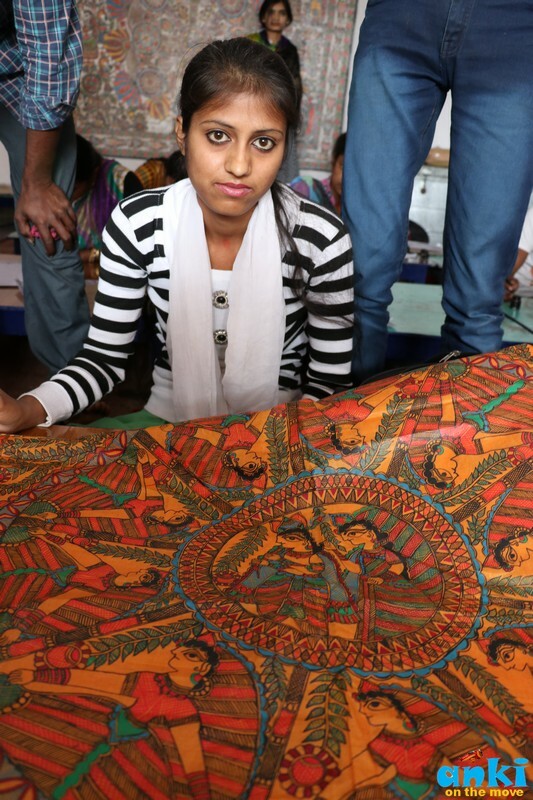 This requires a lot of patience and hence Dr. Kaushik says that making it on the paper than the cloth is a true art form that takes about 2-3 months. The life of the acid free paper is claimed to be for 200 years unless they are put in water, for us even a 100 years is more than enough. They get the paper from Sanganer but recently even a Japanese company have donated some. Kaushik Kumar Jha said “ I did not start this institute. I was not even an artist. I knew a little bit about art. I was doing a job in the by lanes of my hometown here.” On the ground in India from 1977 - 2000, the Ethnic Arts Foundation consisted largely of one person, the American Anthropologist Raymond Owens. In 1976, Owens had come to India to do research on Flood control and irrigation issues in the Indian State of Bihar and West Bengal which were vulnerable to floods. He was completely unaware of Mithila Painting Tradition. It was only when he reached the district of Madhubani, he saw the paintings by early master : Sita Devi, Ganga Devi etc and was completely entranced by the beauty. That time he got fairly disturbed by the unfair amount of pay given to the painters by the dealers who demanded 40-50 paintings repetitive in style which was about 4-5 Rs/ painting. He began working with painters of Jitwarpur and Ranti and encouraged them to work on themes they deeply cared about. Owens returned to the US in 1977 with 35 of those paintings. 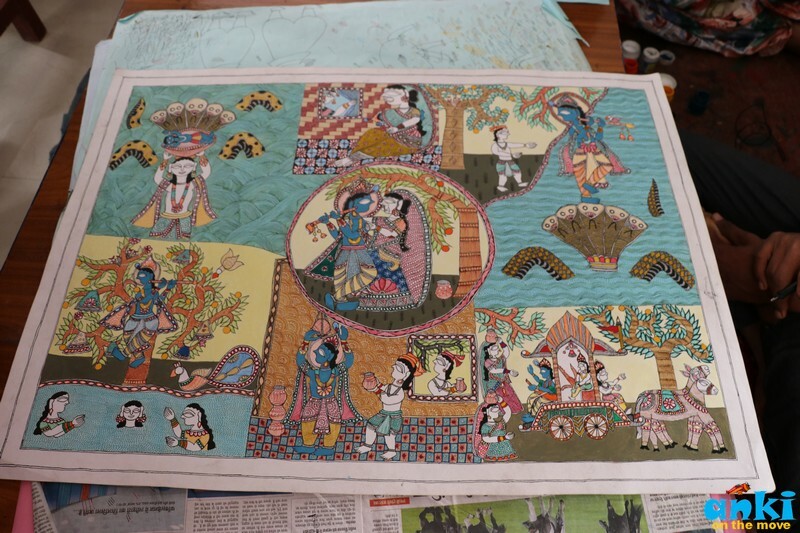 And together with several friends they founded the Ethnic Arts Foundation (EAF) in 1980.Since then the EAF has mounted some 50 exhibitions and sales of Mithila paintings, the proceeds from which have gone as second payments to the artists. Owen suddenly passed in 2002. Thereafter, Elder, Jha, and Szanton traveled to Madhubani in 2002 to consult with the painters about the current situation. They came to know that slowly they were starting to get lesser good paintings and the young generation was not keen on taking up the art. They also found that only those who were old artists and their established families / relations who were into this art, no one new was showing interest. Slowly and slowly it was becoming a conventional art only confined to these families and there was a dominance of Kayastha and Brahmin Families. The Kayastha were making in Ranti village whereas Brahmins were in Jitwarpur. So when the vice president ‘Parmeshwar Jha’ came to this area to buy the painting he thought why not start an institute which will excite the young generation and along with commerce and science as subjects they would also be interested in the art and culture. With that thought, he started this institute in 2002. 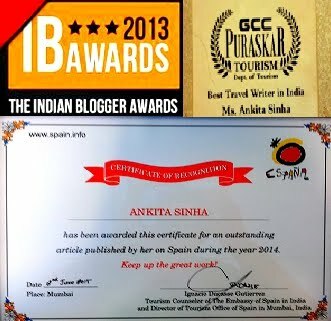 Kaushik Kumar added "And I am associated since that time. For one or two years, I was not sure what was happening, but slowly and slowly I assimilated and I worked as an administrator here. I work with the artists, give them material that they need, I support teachers and there are lot of foreigners who come here.Our main work is to promote the young artists, to give them the environment and the platform, basically we are doing that only, we give them material and the teacher, but they would be the one who would be artists. Now we are not just confined to Jitwarpur and Ranti and today you will get artists from those villages which has got no connection with Jitwarpur and Ranti because they were only making within families and they would hide their techniques and paintings. Today students from all over the villages are coming to learn painting and the hand of some of these skilled students could also match any national awardee. During the 1934 earthquake, the British Government had inspected the situation where they found even though the walls were demolished there were big paintings in black and white which is still preserved in the British Library London. That time they had toured 5 villages that were famous for painting such as Sarsopai, Ujaan etc. For a long time there was no trace of people doing those paintings in those villages after that, it was only after the institute started that students from those villages also started coming again. 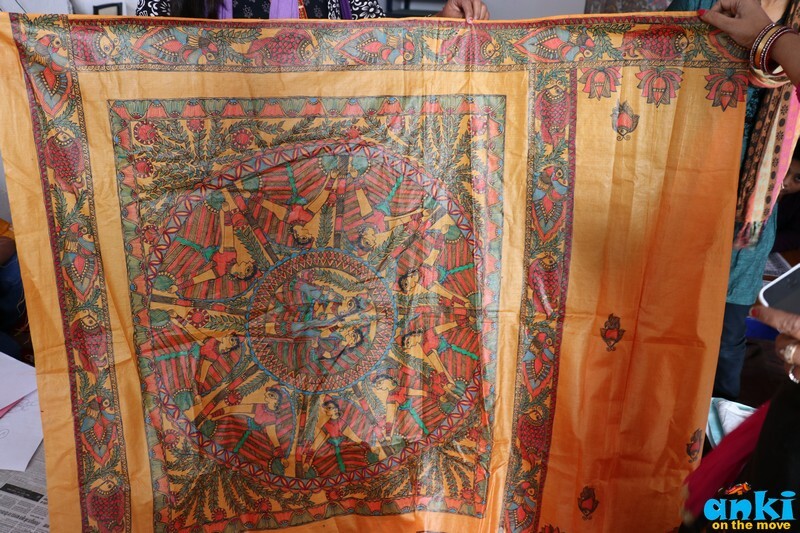 A student of the institute showcased her madhubani art on the Saree she had made on order. On further asking her how, she said, it took merely 4 days for her to make it, as a lot of people were doing it together. Kaushik Kumar said ‘ We don’t encourage making it on a cloth, because we believe cloth is pure business. This has got nothing to do with art, the perfection that you can have on paper, can never be achieved on cloth piece. That aspect is different. On further asking him on where can we find such cloth, he said, that they would be everywhere in big shops here, but they exploit the artisans, they sell it for 5000 Rs and not even give Rs 500 back to them. Whereas we encourage on getting your own cloth so that we can direct you to the artisans and make sure they get fair pay and thats how we work with fashion designers. I further asked him, if not cloth, where can we get the paintings, he told me that anywhere in Jitwarpur, Ranti or Leheriyaganj you can go to their homes, and they would have a Jhola full of paintings - but the only thing is they too have analyzed the market and have gone to Dillihaat so their paintings might still be repetitive. India unfortunately he added, hasn’t yet woken up to appreciate the real value of art. We have exhibitions that we have in over 56 countries thanks to Ethnic arts foundation because they are the best people to Judge. For example, we celebrate snake festival here but an American may not like the painting of a snake in his bedroom So they have new artists who look for the market and what it demands while still keeping the core essence of art. We have only done 3 exhibitions in India and in one of the exhibitions in Mumbai, even though there was a headcount of 22000 people, only one quarter size painting was sold. Our foundation went into liability and we were unable to pay to artists or the curator. It took us 3-4 years to clear the backlog. Whereas abroad, the scenario is different. Everything is a learning process. Just to create awareness to people on what real art feel like vs what’s readily available in the market, we are seeking support from government for an exhibition in Patna Museum for which the date is in Nov. We are thinking of ways to make it more interactive by taking artists who can demonstrate and there would be documentaries and seminars but we are keeping our fingers crossed as the hall is big. It is great to see that we are working together both on modern and what was. 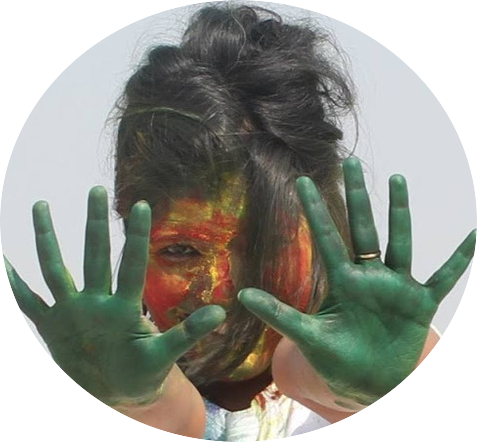 For example, even though we are separate wings, few of our students are absorbed by the NGO run by Indian American Manish Jha who is working towards digital painting where these paintings are done on IPAD. They have offices in Bangalore, New York and Madhubani. The value of hand made product would still be there, but this is a separate market we are targeting. He also added 'We also work on a lot of collaborations'. He said, he has also worked with a french novelist ‘Martine Le Coz’ for a book on senior painters. She has published one book on the senior painters, a second book on the Institute's teachers and students, and is now starting a third book on Raja Salhesh, the culture hero of the Paswans, one of the major painting communities. ‘ There were also 15 students who came through exchange program from university abroad ‘Rani jha one of our teachers ’ also went through exchange program. 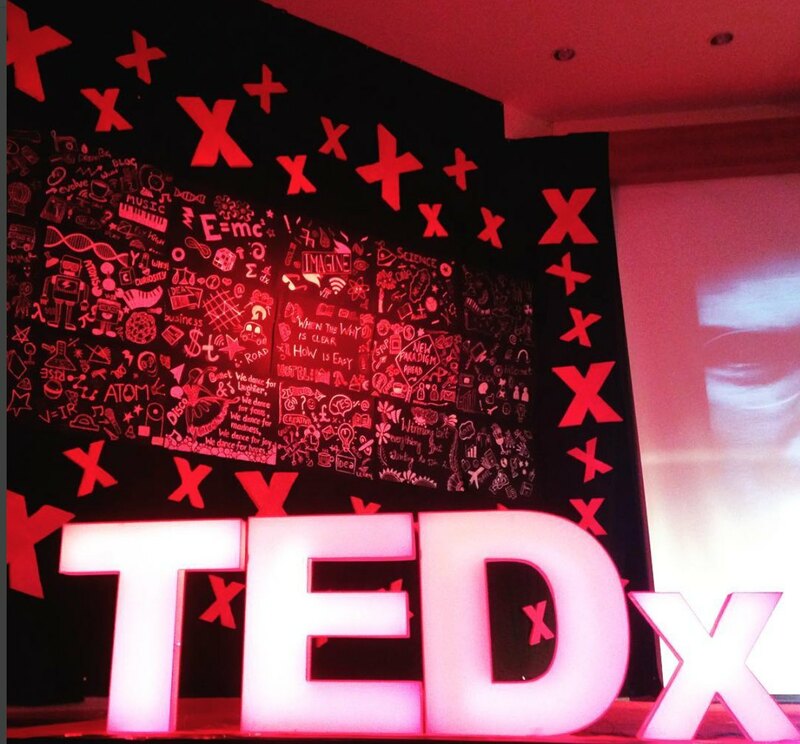 It is nonetheless, great to see how some people are passionate from our own country and from overseas to revive the art. 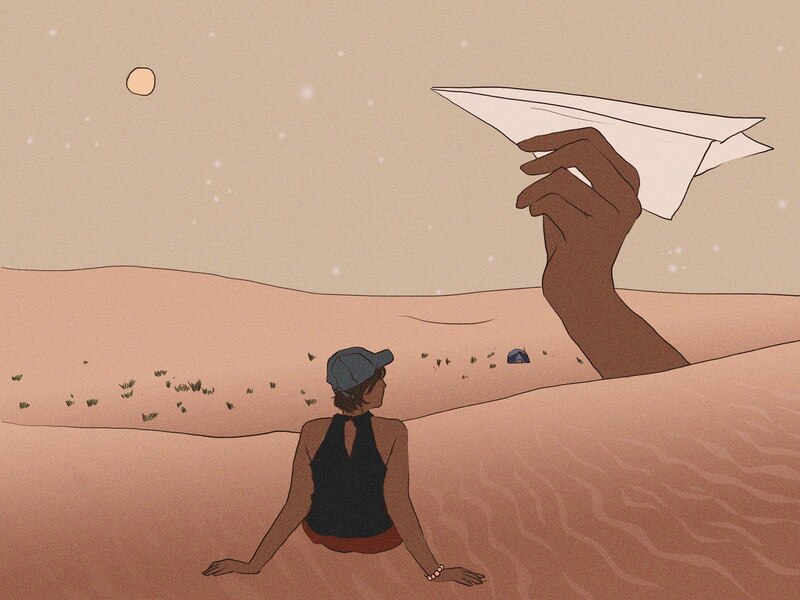 The art form that today goes beyond the traditional. Furthermore, we ventured into villages of Ranti and Jitwarpur and we view the art form by awardees and families up close not only on paper and cloth but also in their homes!